A dental bridge is constructed to bridge a gap between teeth. A bridge is made up of two or more additional crowns that form a bridge from one side of a dental gap to the other using false teeth in-between. There is a natural tooth on either side of the created bridge. Though there are about three different kinds of bridges possible, the most popular and useful is the traditional bridge highlighted below. 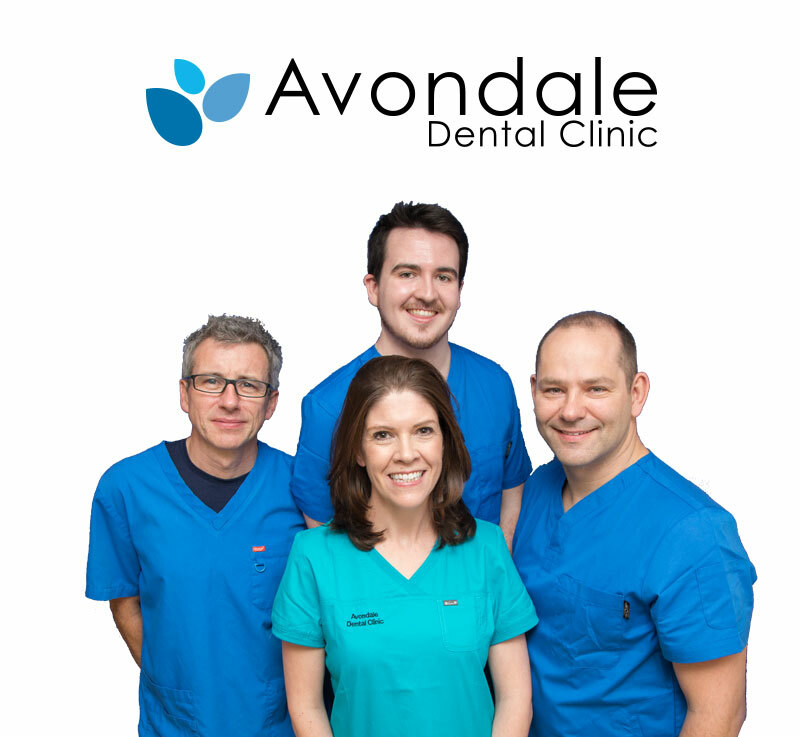 If you have a missing tooth or one that is severely decayed or broken and is not stable enough to hold a dental crown on its own, then a dental bridge may be a suitable treatment for you. Dental bridges restore the look of your smile by replacing the missing tooth with one that can look as natural as the original. 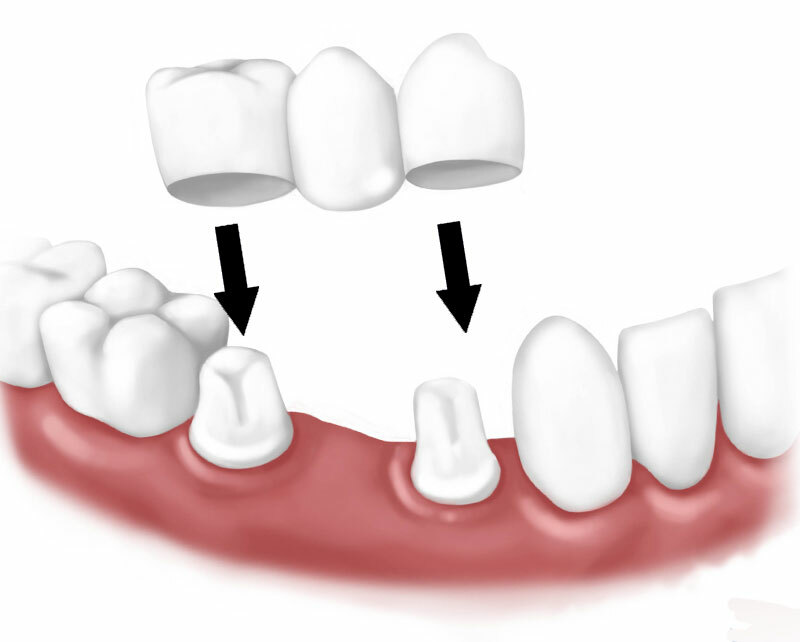 If a tooth is missing in a location where there are not teeth available on both sides to secure the abutments of the bridge, then a cantilever bridge can be used rather than a traditional bridge. With a cantilever bridge, the pontic is secured only on one side to an abutment because there are no teeth available on the other side. This does not create as stable a bridge, but may be necessary if the bridge is needed for a back molar where there is no other tooth positioned behind it. This is the most common and widely used type of dental bridge. It simply serves the need to fill a gap from tooth to tooth, with a pontic in the middle. A pontic is a false tooth or series of false teeth. This type of bridge is made from either metal and porcelain and metal fused together, or ceramics. This kind of bridge is when there are only healthy teeth on one side of the gap instead of two. This is not very common, as it can place too much pressure on the teeth the bridge is trying to support, especially in the back of the mouth. Otherwise known as a resin bonded bridge, this type is made of porcelain, porcelain mixed with metal, or plastic false teeth. The wings on either side of the bridge are connected to the existing teeth. Thinking of getting a Dental Bridge? The process of getting a bridge is a multi-appointment process. First, the dentist must prep the abutment (healthy teeth) on either side of the intended bridge area. A small portion of the abutment teeth must be removed to create a crown so that the bridge can be attached. Molds will then be created of the patient’s teeth. A temporary bridge will be placed inside the patient’s mouth while the permanent one is getting made. On the next appointment, the temporary one will be taken out, and the real bridge will be fitted and placed with dental cement. Benefits of a Dental Bridge? In addition to the aesthetic benefits generated by dental bridges, the dental procedure can also restore and reinforce the stability of the jaw and bite, maintain proper chewing, biting and speaking and also maintain the shape of your face. By placing a false tooth in the space where a tooth is missing, it also stops adjacent teeth from shifting or drifting into the space left by the tooth, which can have terrible results on your bite. A successful dental bridge can last up to ten or fifteen years if cared for properly. As with any dental procedure, the patient must adhere to a proper dental hygiene regimen of brushing, flossing and rinsing. You may notice slight sensitivity to the area after the bridge is placed, but this will disappear quickly. Dental bridges can be used in the mouth as long as the adjacent teeth are strong enough to support it. If the adjacent teeth are weak, fractured, or otherwise unable to provide support to a bridge, a dental implant is the suggested solution to replace a single missing tooth, as it does not impact the adjacent teeth. Percent of adults between ages 35 and 44 have lost at least one tooth through an accident, decay, gum disease or a failed root canal.